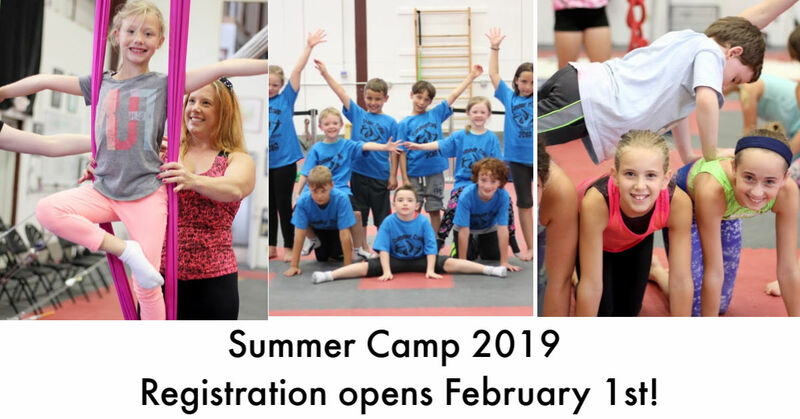 Discounted registration begins on February 1st for summer camp 2019 at Fearless Flyers Academy! Your kids will have the time of their lives! Camp is open to the General Public. ALL KIDS ages 6 - 15 are welcome! Absolutely no experience is necessary! Reservations are required, please make your reservations as soon as possible as anticipate filling-up. Regular registration begins April 1st! Your kids will star in a FREE Performance & Show with lights & music for family and friends on the last afternoon of camp (1:30pm on Fri)! During camp, your child will learn at their own comfortable rate. If any kids are nervous about heights, coaches will work with them on other activities. Our coaches are great at working with kids of all levels and ages. This is the best camp that your children will ever attend! In addition, each child shall receive a free Fearless Flyers Camp 2019 t-shirt!